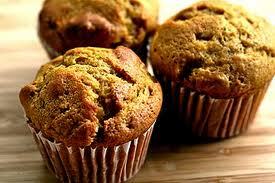 *NOTE: This is actually a Pumpkin Muffin recipe, but we prepared it as a cake. Delicious either way! MUFFINS: Fill muffin cups 2/3 full. Bake at 350° for 20-25 minutes (top will spring back when touched lightly). A mug of hot Aspen Cider works perfectly with this! CAKE… can bake in either a 9×13 baking dish, or a jelly roll pan. The 9×13 will take 40+ minutes to bake, so be sure to do the toothpick test. The jelly roll pan will bake in 20-25 minutes. Just test to be sure cake is baked all the way through. FROSTING… We frosted with canned cream cheese frosting because we were in a big hurry! You are welcome to make your own! 🙂 Our clients LOVED this cake!